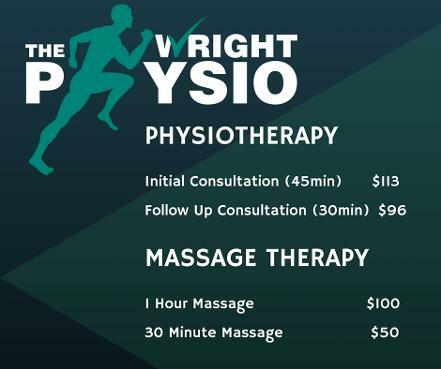 WHY CHOOSE THE WRIGHT PHYSIO? 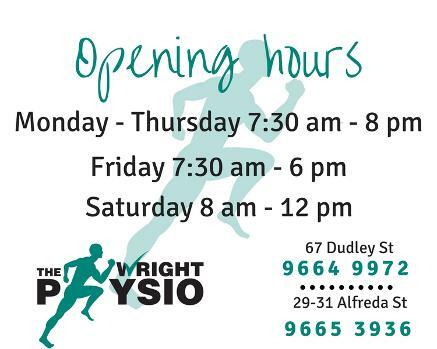 THE WRIGHT PHYSIO is owned & operated by Tim Wright and his team. Established in 2011, THE WRIGHT PHYSIO aspires to offer you professional & quality care, with your personal treatment goals the focus of every consultation. THE WRIGHT PHYSIO specialises in sports injuries & the management of spinal pain offering individualised, tailored Physiotherapy & Massage Therapy treatment to support you to return to life injury free in no time at all.